Hear directly from Canada's top Military leadership as they discuss their goals for tomorrow's Navy at the 2019 Canadian Armed Forces Outlook series. Participate in interactive sessions about current and future requirements for the Canadian Armed Forces. Forge partnerships with organizations that address common issues and concerns. Align yourself with key leaders and professionals in the industry. Daily registration includes access to the full conference program, continental breakfast, keynote luncheon and afternoon breakout sessions. If you register for more than one event. You pick up one badge, saving you time and avoiding the line. * Discount will be applied at checkout. ** Government fees are for Government and Government Contractor registrants. 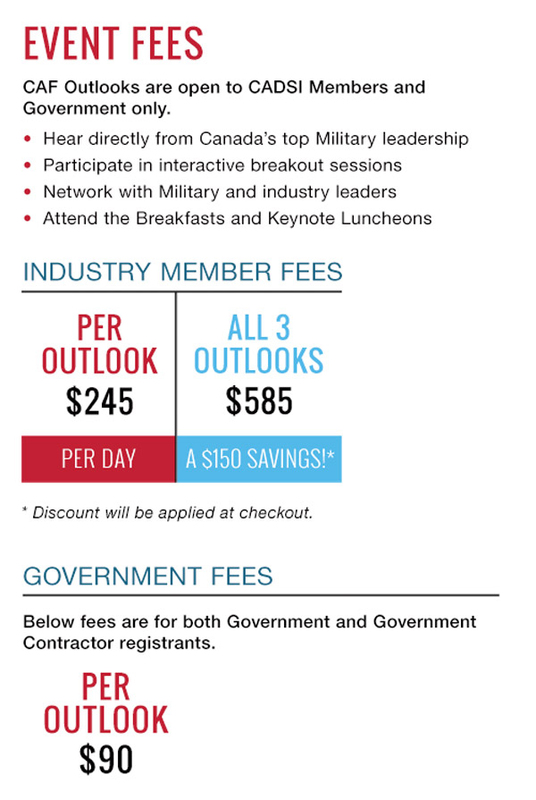 10 CAF Outlooks 2019 conference registration passes for your selected Outlook. Complimentary wines offered at lunch service for the table (max 3 bottles/table). Your corporate logo displayed on your reserved table(s), both for the Plenary Session and the Keynote Luncheon. Preferred table location at front of the room for both the Plenary Session and Keynote Luncheon. 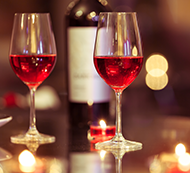 User’s ability to manage the table and guest invites via our online E-vite tool. * Table of 10 purchases must be made per day. ** Invited guests to your reserved table must be Government/DND Employees or current CADSI members. List of Speakers coming soon.